photo caption: Gero Goetzenberger, new CEO of Athlon Car Lease International. Daimler Financial Services has received regulatory approval for the acquistion of Athlon Car Lease International from De Lage Landen International Group, which belongs to Dutch Rabobank. Daimler Financial Services invested € 1,1 billion to acquire Athlon, a leading fleet management company in Europe. Daimler Financial Services will cover the needs of business mobility with Daimler Fleet Management and Athlon Car Lease International as a multi-brand provider. In the future, Daimler Financial Services will lead its fleet management business under the Athlon brand. 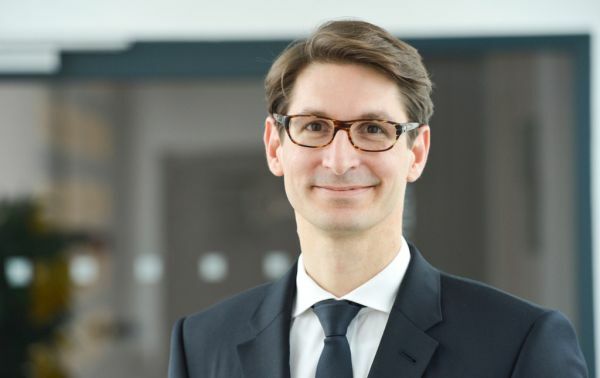 Gero Goetzenberger, CEO of Daimler Fleet Management since 2012, is named new CEO of Athlon. Frans Janssen, the former CEO of Athlon, will become Chief Commercial Officer. The headquarters for the company will be in Almere/Netherlands. “The importance of business mobility continues to grow. With the acquisition of Athlon, we are strengthening our competitive position in business mobility. Both Daimler Fleet Management and Athlon have a strong heritage and are successfull in the market,” stated Bodo Uebber, Board of Management member of Daimler AG responsible for Finance and Controlling and Financial Services. “With a combined portfolio exceeding 350.000 vehicles we will be an important player in the European fleet business. With Athlon, we will enhance our mobility solutions for companies,” stated Klaus Entenmann, Chairman of Daimler Financial Services AG. The integration in all European markets is expected in 2018. In the future, customers will benefit from an extended offer and optimized processes. “We want to become the leading provider for business mobility in Europe. Our 1,800 employees are commited to delivering on this promise. With our experience and passion we will extend our offer and grow,” stated Goetzenberger. “We now hand over our vehicle leasing business to a company that possesses all the prerequisites to continue Athlon’s track record of success,” stated Bill Stephenson, CEO and Chairman of the Executive Board of De Lage Landen International, the former holding company of Athlon Car Lease International. The company’s presence in Europe spans across fourteen countries: Austria, Belgium, Czech Republic, Germany, France, Great Britain, Italy, Luxembourg, the Netherlands, Poland, Portugal, Spain, Sweden and Switzerland. Furthermore, Athlon cooperates with partners in more markets.